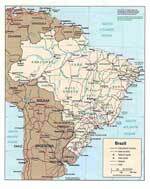 Little is known of the early history of Brazil. As archaeological researches have shown, the first settlements on its territory were formed in the 17th century BC. The discoverer of Brazil is famous Portuguese navigator Pedro Alvares Cabral. His team boarded the coast in 1500. Only 33 years later, the period Portuguese colonization began. It had been lasting for over 500 years. The colonial country became a large slave trade center. New settlers used it to cultivate sugar cane and coffee plantations. The country gained independence from Portugal in 1822. Then, the country had been seeing a period of political conflicts and upheavals for over 150 years. Brazil is famous for its breathtaking carnival that annually takes place in Rio de Janeiro. The main event of the carnival is a festive costume parade, for which the people in Rio prepare for a year. Each of the participants intend to impress everybody with the costume. The best dance and creative groups of the country take part in the carnival. In recent years, the carnival in Rio is organized for tourists. They can participate in interesting entertainments, as well as in food and cultural programs. 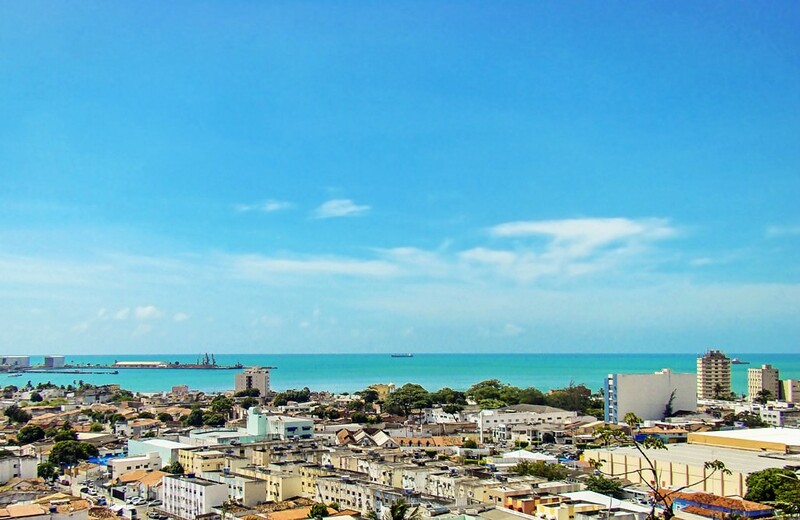 Brazil is a popular center of beach recreation. 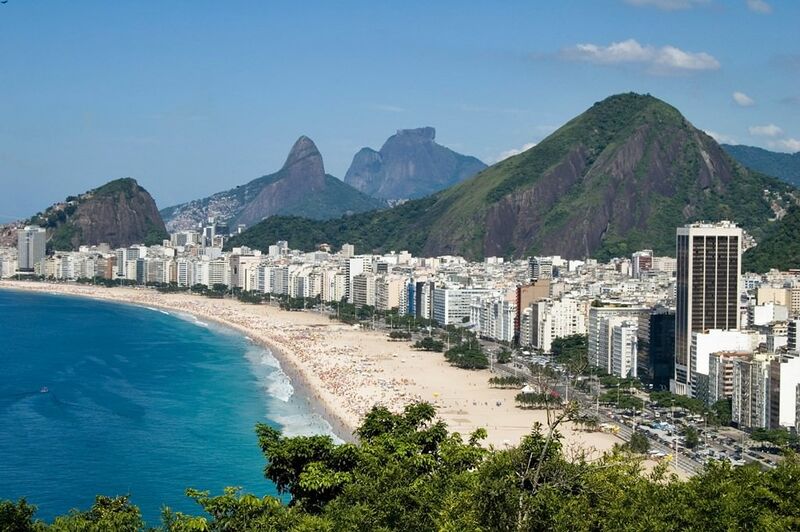 The most popular beaches of the country are also located in Rio de Janeiro. They are quite big, so even in the midst of the tourist season, you will not have problems with finding a comfortable place for your leisure. The beach of Copacabana located here is one of the longest in the world. It is covered with beautiful golden sand. The length of the unique beach is over 6 000 m. There are multiple hotels, shopping malls, restaurants and other entertainment venues. You can diversify your vacation in Brazil with walking along local markets and shopping malls. One of the most popular products bought by shopping enthusiasts is Brazil coffee. They also buy beautiful items and accessories of gems made by local craftsmen. If you want to bring a more extraordinary souvenir, you should pay your attention to colorful hammocks that are one of the main national symbols. As for practical gifts, you can give your priority to items of natural leather of high quality. This article about iconic landmarks and sights of Brazil is protected by the copyright law. You can re-use the content, but only under the condition of placement of an active link to www.orangesmile.com. 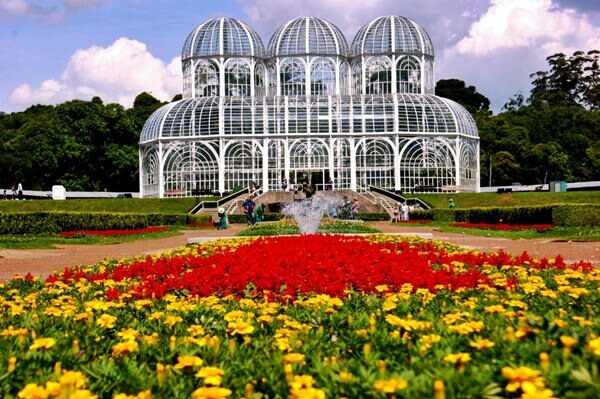 In Curitiba, Brazil has placed a wonderful Botanic Garden. It is decorated not only with exotic plants but also with a great glass greenhouse. Jardim Botanico de Curitiba was built in a French style in 1991. The park occupies 240 000 m² in area. There you can see as vivid flowerbeds, trees as marvellous fountains, waterfalls and man-made lakes. In Manaus, in the heart of the Amazon rainforest in Brazil, has located the Amazon Theatre. 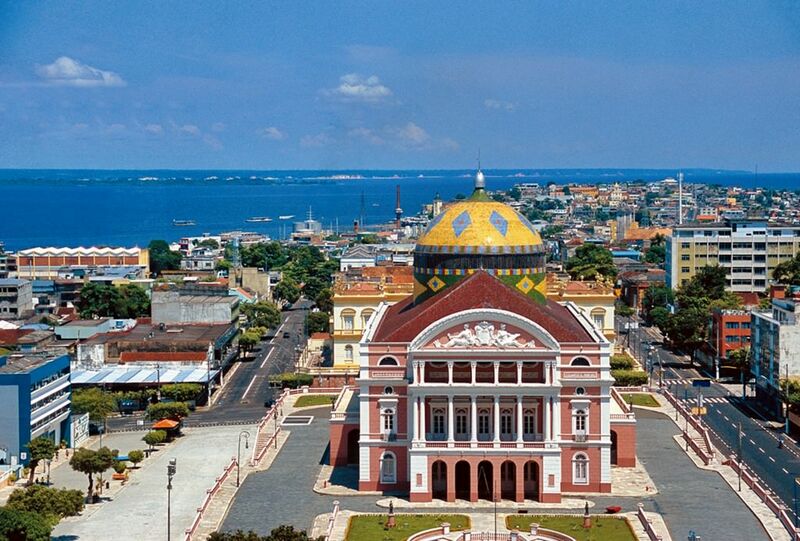 It is a regular place of the Amazonas Opera Festival. This theatre is famous not only for its musical events but also for its unique architectural style. The building has been lasting for 15 years and finally, the grand opening was in 1896. The theatre was built by the famous Italian masters. 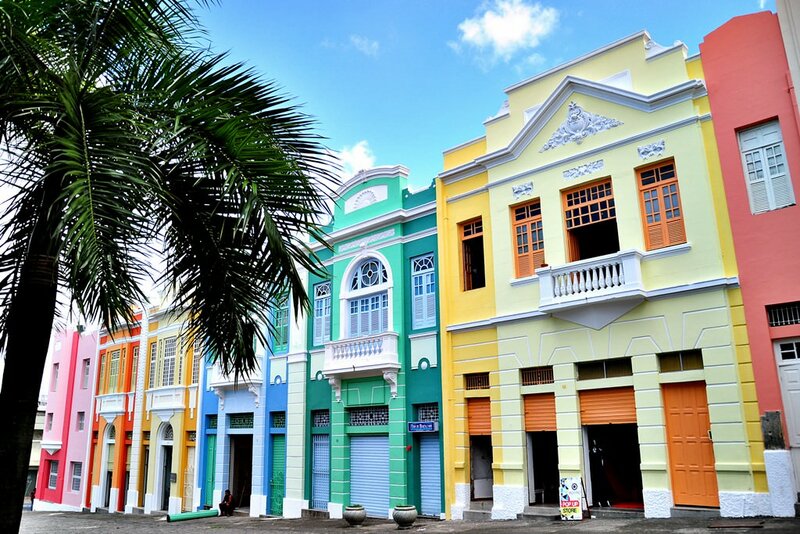 That’s why there is no secret why the building in a tropical area is made in an Italian Renaissance style. Almost all materials were transported from Italia because only there it was possible to get rare marble. The building has an outstanding cupola. For its decoration, it was used about 36 000 colourful ceramic tiles. These decorative tiles were painted in Brazilian flag colours. 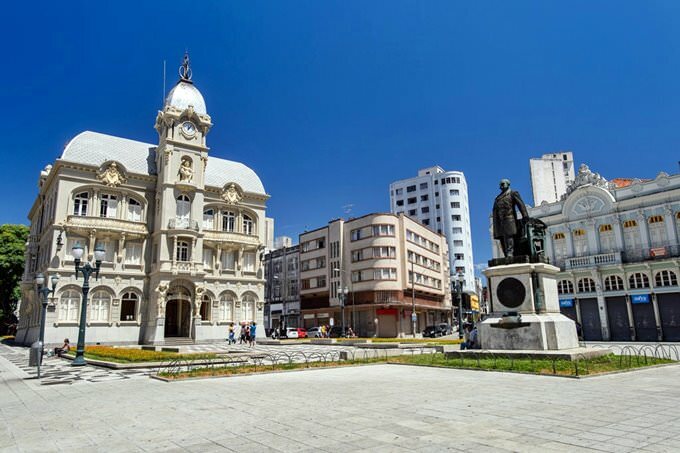 In the Brazilian city of Porto Alegre there is an amazing street Goncalo de Carvalho. Its length is 500 meters. 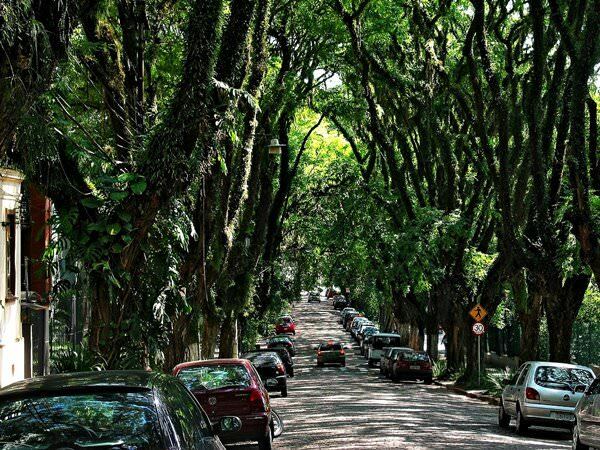 Both sides of the street are decorated with tall trees, crowns of which merge to form an incredibly beautiful natural arch. If you look at this street from a bird's-eye view, it will seem that instead of the busy highway a carpet of green leaves lies there. Huge Tipuana trees were planted along the road more than 80 years ago. Over the decades, they have grown to an impressive size. 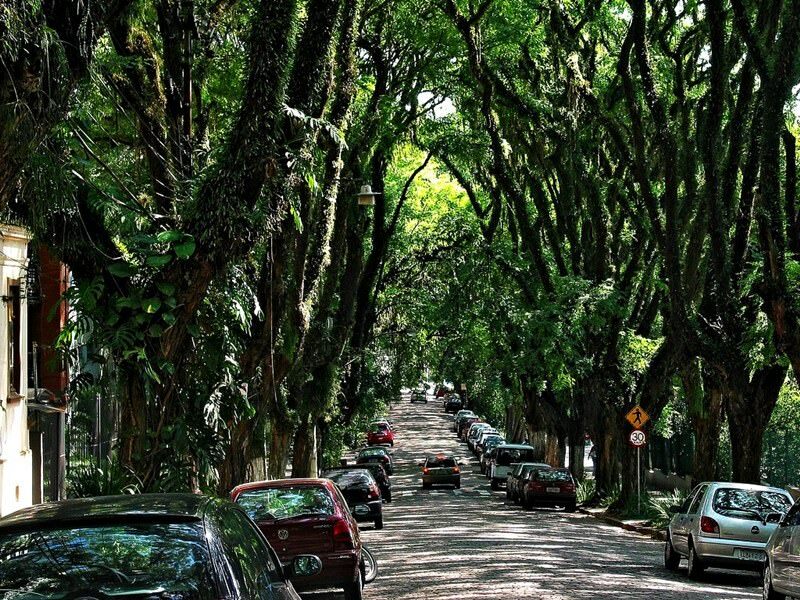 Closely intertwined branches form a natural canopy over one of the most bustling and busy city streets.